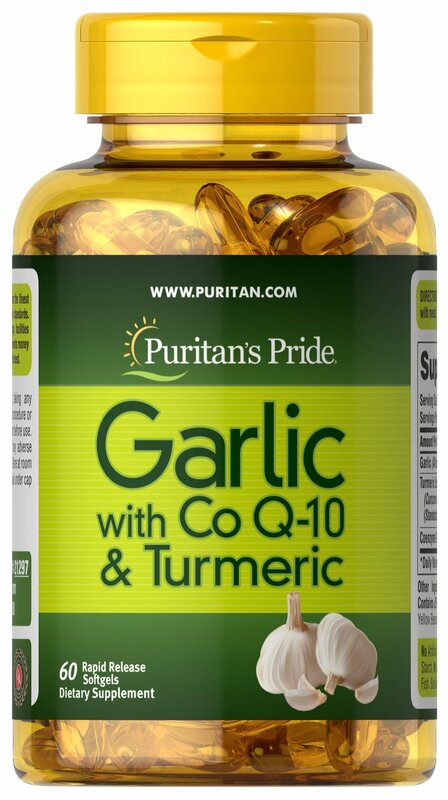 Puritan’s Garlic with Co Q-10 & Turmeric offers a unique blend of Antioxidants in Turmeric, Garlic & CoQ10, in a two softgel per day dose. Garlic, an aromatic vegetable that’s used in some of your favorite dishes, isn’t just for flavor—it’s good for you too. If the taste of garlic is too strong to your liking, not to worry. Our enteric-coated Odor Free Garlic bypasses the stomach to prevent the unpleasant taste of garlic for those who are garlic sensitive.